A 15 year-old boy was arrested in Philadelphia for planning an attack on Pope Francis during his upcoming visit to the United States, ABC News reported Tuesday. The boy, whose identity has not yet been revealed, was arrested last month by the FBI after posting about the attack on social media. He was discovered to have multiple firearms in his possession and was allegedly inspired by the Islamic State group. “The minor was inspired by [ISIS] and sought to conduct a detailed homeland attack which included multiple attackers, firearms and multiple explosives, targeting a foreign dignitary at a high-profile event,” read a joint brief by the FBI and the Department of Homeland Security issued Aug. 14. 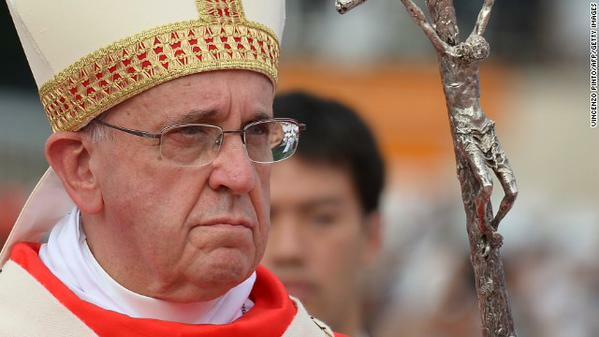 ABC reported Tuesday that the “foreign dignitary” mentioned in the brief was in fact the pope. The teen was inspired by the Islamic State and obtained explosives instructions. The bulletin also said he obtained explosives instructions.